XOXO After Dark is delighted to host two amazing romantic suspense authors today! 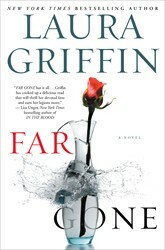 NYT bestselling authors Laura Griffin and Allison Brennan have been writer-friends for years, and below, tell us a little bit about romantic suspense, the writer’s life, and their brand-new joint project, CRASH AND BURN. Welcome, Laura and Allison! XOXO After Dark: What made you two decide to collaborate? Laura: We’ve talked about doing a book together for years. When we came up with the idea for a Southern California detective duo, I knew we’d finally found the right concept. XOXO After Dark: Where’d you get the inspiration for the PI firm Moreno & Hart? Allison: Well, I’m a TV junkie, and I’ve always loved detective shows. Moreno & Hart are different from a lot of the classics, though, because the series features two women. More often you see buddy shows, like Sherlock and Supernatural, or the sexual tension in shows like Castle and Bones. In fiction, we have the Robert Crais’s series featuring Elvis Cole and Joe Pike. But we noticed there’s a definite lack of female duos out there. XOXO After Dark: Why Southern California? Laura: Allison has a lot of books set in California, but it’s a new setting for me. I have family there and have visited all my life, so I was excited by all the story possibilities on the sunny coast. XOXO After Dark: Laura, your heroine Krista Hart is determinedly independent. She doesn’t really have a guy in her life. Laura: Except for Spencer, her parrot. XOXO After Dark: Oh, right. I was thinking more of R.J. Flynn, the rival investigator. Any chance they might get together in a future book? Laura: I think we’ll be seeing more of R.J. Despite their rivalry those two definitely have some sparks. And I don’t think I’ll be able to resist weaving a love affair into the storyline at some point. XOXO After Dark: Allison, your heroine Scarlet lives above a bar run by a “retired” criminal. How did that happen? Allison: Diego was a small-time criminal who also doubled as a police informant. He wanted someone to keep an eye on his place and Scarlet wanted to live near the beach—but couldn’t afford it. She only has one room and a deck, but an ocean view. The sacrifice (weekend music, bar noise, and a bathroom tinier than a closet) is worth it. XOXO After Dark: Just reading the book made me want a margarita. Was this intentional? XOXO After Dark: And what about Scarlet? She and hunky detective Alex Bishop seemed to hit it off … even when they were fighting. Allison: Scarlet’s vice is dating cops. She knows they’re bad for her, but she can’t help herself, and Alex is not only her type, but has a mysterious back story that interests her curious nature. XOXO After Dark: You hinted at the incident that united Krista and Scarlet. Can you give us a teaser about what happened and what’s going to happen? Laura: Three years ago, Scarlet and Krista were nearly killed in an ambush that ended with them leaving law enforcement all together and starting their PI firm. Their loyalty was forged in blood that day as Krista saved Scarlet’s life and stuck with her, at great personal risk. They don’t know who set them up, but at least one cop was involved. That’s all I know! XOXO After Dark: What do you mean that’s all you know? You didn’t plot this out? I can’t get an insider’s peak? Laura: (laughing) Have you met Allison? She doesn’t plot. I don’t even think she knows what’s going to happen! Allison: What’s the fun of knowing the future? We’ll get there when we get there. XOXO After Dark: But that day changed Scarlet and Krista, right? You can see their close friendship on the page. Laura: Yes. Krista still has nightmares about the attack, about Scarlet bleeding in her arms. She was scared, not only about her own mortality, but about losing a fellow cop. Krista is hardly squeamish, but the near-death experience affected her. She’s firmly put it in the past and is focused on the PI firm and the future. Allison: Scarlet is quietly putting together the facts about what happened. She hasn’t even told Krista, which is a potential huge conflict between the friends. I don’t know what’s going to happen when Krista finds out Scarlet is keeping this secret! But I do know that it’s going to take both of them to solve it, and neither will come out unscathed. Allison Brennan is the New York Times bestselling author of 20 books and numerous short stories. She lives in Northern California with her husband, five children, and assorted animals. 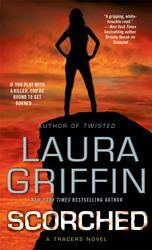 Laura Griffin is the New York Times bestselling author of 11 romantic suspense novels, including the RITA Award-winning SCORCHED and WHISPER OF WARNING. She lives in Austin, TX with her family. PI Sean Rogan is devoted to his relationship with FBI trainee Lucy Kincaid...but when his past catches up to him, he's forced to keep Lucy in the dark. She doesn't understand why he's suddenly so distant--all she knows is that Sean is in grave danger, and this time, it’s personal.